Women in business. Alway something I like to support, shout about and get behind. This time I’m the one in the limelight. 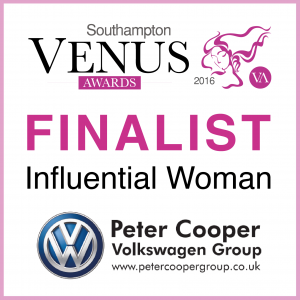 This week I found out I am one of 3 finalists for the Southampton Venus Awards “Influential Women of the Year Award” 2016. Pretty amazing huh. Well I was shocked anyway. I had an interview with the sponsors of the category a few weeks ago and I can honestly say it was a delight. 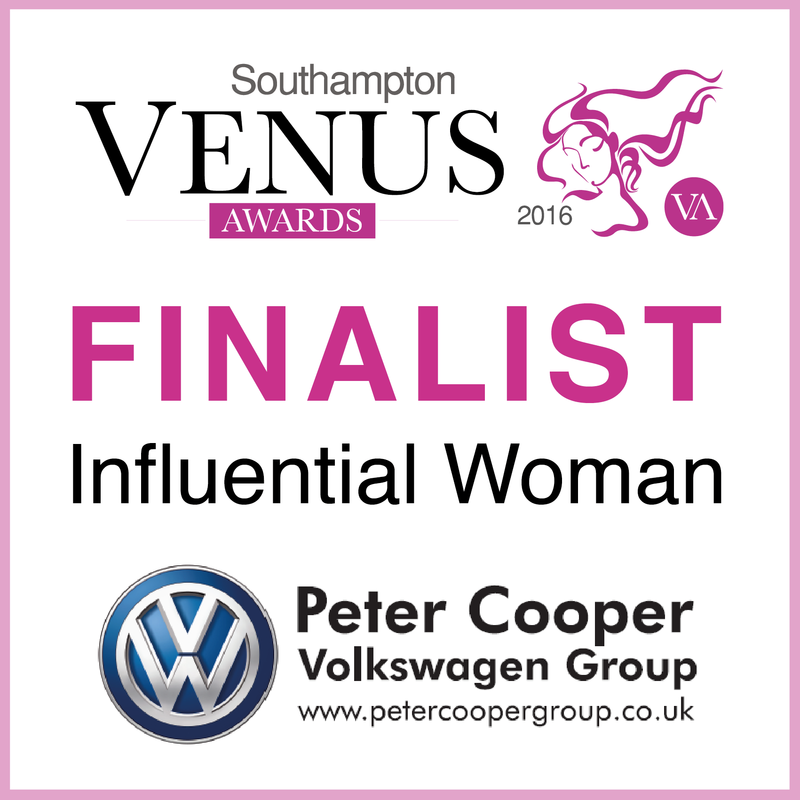 The people from Peter Cooper Motor Group who chatted to me seemed genuinely interested in our businesses and also in the person (me) behind it all. I came away quite uplifted. Almost as amazing was the fact I found out at a posh afternoon tea event at Botleigh Grange Hotel and they provided me with a decent wheat free version. I’ll be honest I was expected not to be able to eat anything… but then there arrived a platter of goodies just for me, that’s the way to a pregnant girls heart. 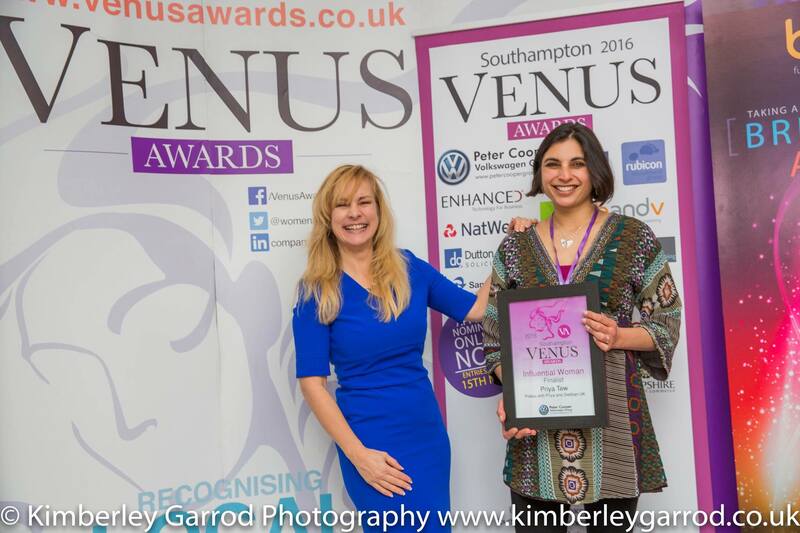 I love the fact we have local Awards that celebrate Women in Business. It can be a lonely place to be, so these awards are a chance to celebrate what people do, to meet and network and to have a glam night out too. Now someone just needs to find a dress to fit me at 35 weeks pregnant! 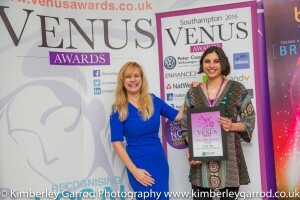 The big Awards Ceremony is on Friday 15th April. Previous PostAnxiety Techniques for Eating DisordersNext PostPriya stars on BBC1’s Food Truth or Scare.